I am sure you can all relate to how frustrating it is to look for masculine knits when planning to sew an Arrowsmith, Strathcona or Newcastle. Sometimes I wish Matt would be just a little less picky over which style of stripe or tone of orange he likes (it's incredibly mysterious and I fail to predict his answer every time I ask his opinion)...but, what would be the point spending loads of time and care to make him a custom garment if I started by asking him to compromise when choosing fabric? Way back when Thread Theory was brand new (actually not that long ago :P) I wrote a post called "Tips on Manly Knits" that included a list of online retailers that I thought sounded like promising sources for knits. Since I am always on the lookout for great knit sources, I had better update this old blog post by letting you know about the latest source for knits that I have tested out and been thoroughly satisfied with: Girl Charlee - an online fabric store that carries only knits! (Please note that I am not sponsored by or affiliated with Girl Charlee in any way, I am just really pleased with my fabric shopping experience!) I got a little carried away of late and ordered a whole pile of knits for myself and my sister to make Soma Swimsuits and Pneuma Tanks. I neglected to add any menswear fabrics to my shopping cart in my fabric buying frenzy, but, once fabric-excited-me had a chance to calm down after my AWESOME box of knits arrived, I went back online and was able to fill a whole design wall with loads of Matt-approved fabrics. Would you like to see some of my favorites? Check these out! Just click on each picture to be taken to the fabric description on the Girl Charlee website. 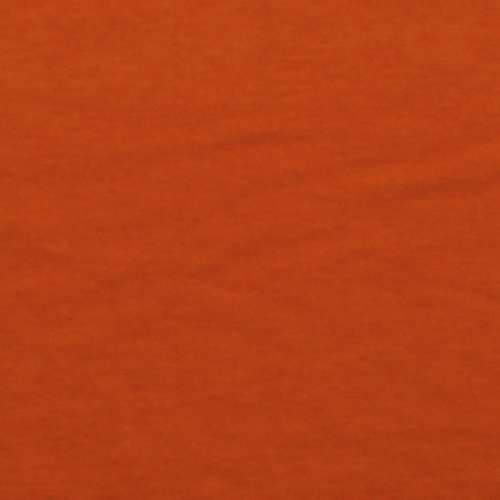 Let's start with an 'on-brand' fabric choice - I am, after all, attracted to anything featuring the Thread Theory burnt orange! This ponte de roma would work nicely for a Newcastle or a heavier Strathcona: If you are a fan of blended knits, there is no end of colour selection on the Girl Charlee website. They feature a lovely heathered effect that makes a solid colour so much more interesting. I find a little bit of poly in a t-shirt knit isn't necessarily a bad thing. In fact, it seems to make for a more weightless knit that comes out of the dryer without the wrinkles cotton t-shirts are prone to. I'd love to see a classic Strathcona Henley with a placket in this denim coloured tri-blend knit: This burnout cotton jersey is a really unusual colourway and would make a really 'designer' style Strathcona Tee or Arrowsmith Tank. I think it would look great as the Arrowsmith with solid grey binding and even a solid gray pocket as contrast: Even though Matt always steers clear of much colour, I can generally convince him to wear shades of teal. I think this teal blue cotton jersey featuring navy slubs would look very masculine as a short sleeved Strathcona tee and would bring out green or blue eyes very nicely (always my hidden motive when choosing menswear fabrics :P): With those important solid basics covered, lets move on to some adventurous prints! This stunning ponte de roma print would make the PERFECT on-trend Newcastle. I would certainly steal this one from Matt and might even be inclined to stop pretending it was for him and simply make myself an XS version :) : If you're man isn't inclined to wear quite so many colours, this hacci sweater knit would be the perfect cozy alternative: While we're on the subject of sweater knits, this hacci sweater knit features my favorite colour (olive green) and would be great as a summery Newcastle because the white flecks lighten up the dark green quite a bit and, to my eyes at least, give this knit a bit of a laid back surfer/beachy vibe...can't you just imagine your surfer-man putting on his Newcastle when the ocean breeze brings a bit of a chill at the end of a day on the beach? And, of course to complete this picture, the two of you are snuggled up watching the sunset... Are you inspired to start sewing some knit menswear? I would recommend ordering fairly large quantities at a time because shipping tends to be a little pricey for smaller orders but becomes slightly less so as the package size increases (at least to Canada, I am not sure how affordable it is within the United States or worldwide). Even with shipping, I found that I was paying about the same price or maybe just slightly more for the knit fabrics I purchased as I would have if I went to my local fabric store and bought the higher quality knits. Of course, the selection is tiny locally and features mostly primary colors and feminine prints...so I would be willing to pay quite a bit more to buy knit fabric that is masculine and interesting and high quality! Hi, I ordered a quite a few knit fabrics from Girl Charley. They have good prices on their knit fabrics and excellent service. However, I found there fabric to be lower in quality than I had hoped for. But at $6 dollars a yard I shouldn’t really complain! The only comparison I can make is the fabric is along the line of Old Navy T-shirts. Old Navy is a fine store and I often shop there. However, when I sew I typically want a fabric with a little more “WoW” factor than RTW I can buy at Old Navy. All and all, I think Girl Charley is a great place to shop for fabric, but it may be better suited for children’s wear than something that will be worn long term. I hope this is helpful to someone as I find it hard to shop online at times (since you can’t touch and feel) and I don’t mean this to be disrespectful to the fabric store. Thanks so much for sharing your experience! It is quite a challenge to choose such a tactile thing like fabric based on photos and descriptions. So far I’ve been quite happy with the fabrics I’ve ordered but haven’t had them for long enough to see if they hold up when washed often over time. I’ve noticed that some of the solid coloured cotton spandex knits are incredibly silky and soft compared to what I find at my local fabric store which leads me to think they are high quality while other printed spandex knits I purchased are much more stiff and seem a little cheaper (but have really unique prints on them!). I guess it’s best to be a little bit flexible when buying fabric online and perhaps change project ideas when the fabric arrives depending on what sort of hand and quality it possesses! I’ve had my eye on Girl Charlee for awhile now, but haven’t actually ordered anything (yet). Good to know it was a good shopping experience! Quality manly materials are hard to find—I’m still bummed that I haven’t found any cool elastic for my husband’s soon-to-be made Comox Trunks. Have you checked out Mrs. Bao? They stock our patterns and have made sure to stock a selection of elastics perfect for the Comox Trunks too! You have to switch the website to English and $ at the top of the site and then after that you can find a nice example of the elastic here: http://www.mrsbao.se/product.php?id_product=667. This one is my favorite: http://www.mrsbao.se/product.php?id_product=657. Shipping seems super reasonable too. Good luck with your trunks! Thanks for your help—I’ll be checking this out! I have two Canadian companies I use for knits. Peak Fabric has a good selection of activewear fabric. Beverly at Bra Makers Supply although primarily an underwear store has some really beefy knits. I find mail order fabric pricey. I have come I to the conclusion over the years that I spend a lot of time and effort in construction, and price per wear is more important than initial outlay in determining the “true” cost. Although the amount of dollars I spend in no way would affect any companies bottom line, I try to spend at companies that I feel are supplying quality in an ethical way. Ido order internationally if that where I must go to get what I want. Thanks very much for the knit recommendations! I have never actually bought fabrics from either of these companies but have often perused their websites. Peak Fabric is especially intriguing to me because many of their fabrics would work so nicely for the Alpine pattern collection. And, I agree with your statement about true cost – very well said and important for all consumers to keep in mind! Thank you for the lovely (I mean manly) post! We appreciate the link back. No problem! Thank you for stocking such a great selection of knits! I will certainly be ordering again in the future (in fact, my shopping bag is full of possibilities that just need to be narrowed down a little at the moment :P). I just did a quick Google search – what gorgeous fabrics! Quite a few of them could be made into really manly and trendy Arrowsmiths – I can’t wait to see how yours turn out! Gutted there isn’t anywhere like this is the UK. Finding good quality, unusual knits is tough. That printed grey sweater knit is so, so good. I’d love to make a Newcastle cardigan for myself out of it. How is the shipping to the UK? I think as sewing with knits becomes more popular, as it has of late, someone is bound to open up a shop specializing in knits in the UK – there sure is an audience for it!